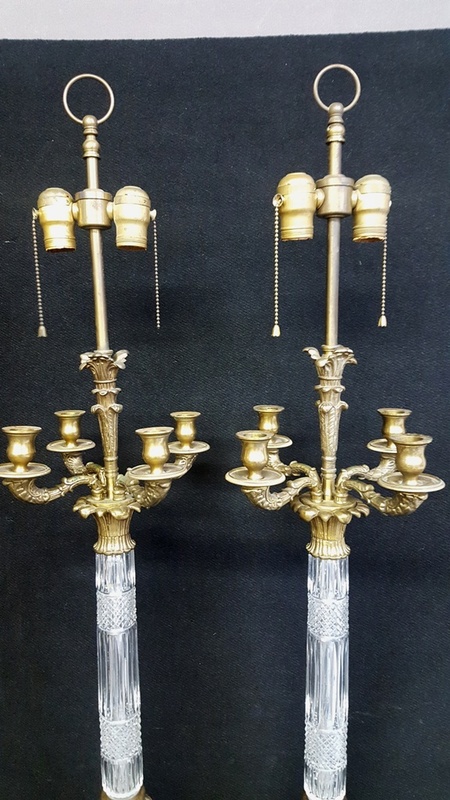 Lot #349 - Pair of Empire-Style Brass and Cut Crystal Lamps - mid-20th century, French, the candelabra-style lamps with brass scroll- and leaf-molded bases set with cut crystal standards and four candle arms below two sockets. h. 39", dia. 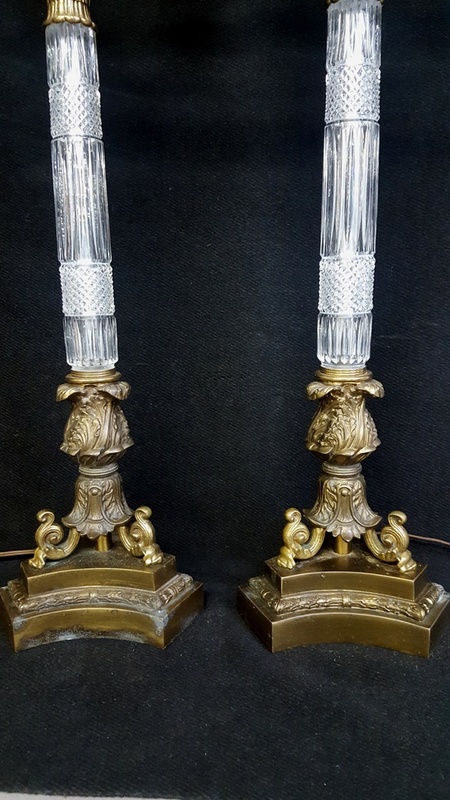 6-3/4"
Pair of Empire-Style Brass and Cut Crystal Lamps - mid-20th century, French, the candelabra-style lamps with brass scroll- and leaf-molded bases set with cut crystal standards and four candle arms below two sockets. h. 39", dia. 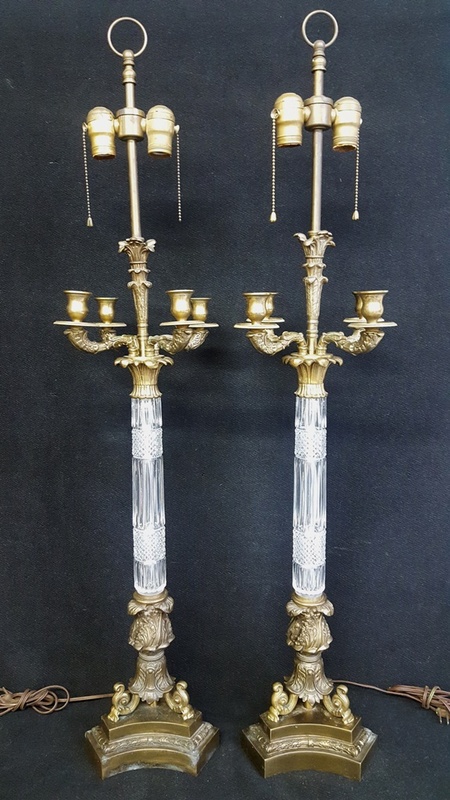 6-3/4"